Cost of Delivery are included in our tag price within Metro Manila and Rizal. Outside Metro Manila, subject to DPEX/LBC/DHL Rates. For your free delivery... Call Us Now! Any 5-Gals (Round/Slim) Sealed and not consume within 15 days, we will effect a free replacement. Alkaline Water should be consume within 15 days from the production date to maintain the water freshness. We also accept payment by local credit cards, paypal, bank transfer or wire. 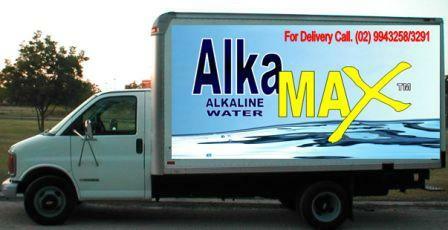 Alkamax Alkaline Water Co. All rights reserved.